Why People Choose Online Alcohol Class? People choose our program for these reasons: being able to study on your own time, world-class and U.S. based customer support, no hidden fees, and free processing and shipping of completion certificates. If you have been ordered by the court to attend and complete an alcohol or drug awareness class, including a minor-in-possession class, we can help. 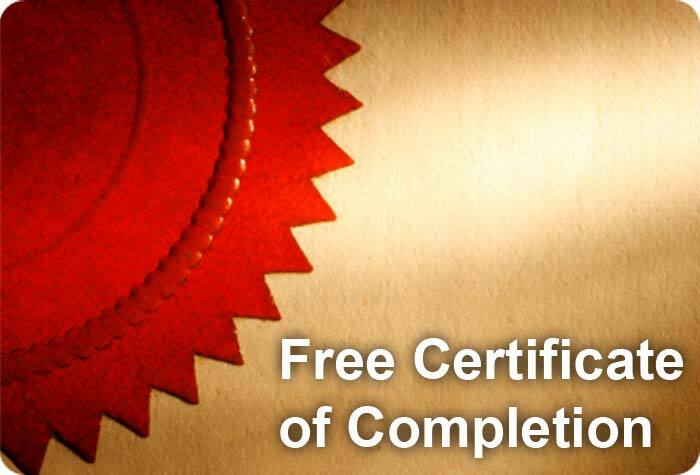 Your completion certificate will be processed and shipped free when you finish your class. If you need your certificate right away, we offer expedited overnight shipping options. A downloadable enrollment verification is available as soon as you register. Designed by professional instructors and online educators, Online Alcohol Class's Alcohol Awareness, DUI and Minor In Possession classes are the easiest, most flexible way to complete your court ordered or personal requirements. If you’re searching for convenience, then enroll in one of our online alcohol awareness classes today. Easy and flexible, these classes aren’t taught in a classroom, but in the comfort of your own home (or wherever you’re able to access the Internet). You won’t have to worry about changing your schedule, as you are able to sign in and out of the program at your convenience. We believe that you will be completely satisfied with our program and the classes offered. If you’re not, then we will gladly offer you a full refund. There’s no risk with our money-back guarantee . With years of experience, we’ve created a web-based program that is simple to use. Sign in, follow the instructions, and get started. There’s no software, PDFs, or downloads needed. Having trouble? Don’t be afraid to contact our support team via email or phone. Our expert customer support team is professional and ready to answer any and all questions that you may have during all steps of the process. via email or phone. With our online alcohol awareness classes, there are no hidden costs or fees. You’ll pay one fair price at the time of enrollment and that’s it. All major credit cards are accepted. You can start taking classes now! Simply register and begin a program within ten minutes. We pride ourselves in being leaders in innovative, customer-oriented, effective online courses.